Success is the Sum of Small Efforts, Repeated Day-in and Day-out, the BHWer way. CalABA is a special conference that offers insightful resources and professional development opportunities for a variety of professions in the Applies Behavioral Analysis (ABA) field. Despite this event being primarily for BCBA’s, one of our local BHWer, a Behavioral Therapists (BT), came out to not only show his support for BHW but to also learn more about what it means to be a BCBA! Daniel started with BHW 2 years ago as a first-time BT and never gave up on refining his ABA skills daily. He rose to the occasion and is now one of our Associate Supervisors! Mr. Barrs continues to hone in on his ABA craft and is now preparing to take his BCBA exam. Good luck Daniel! 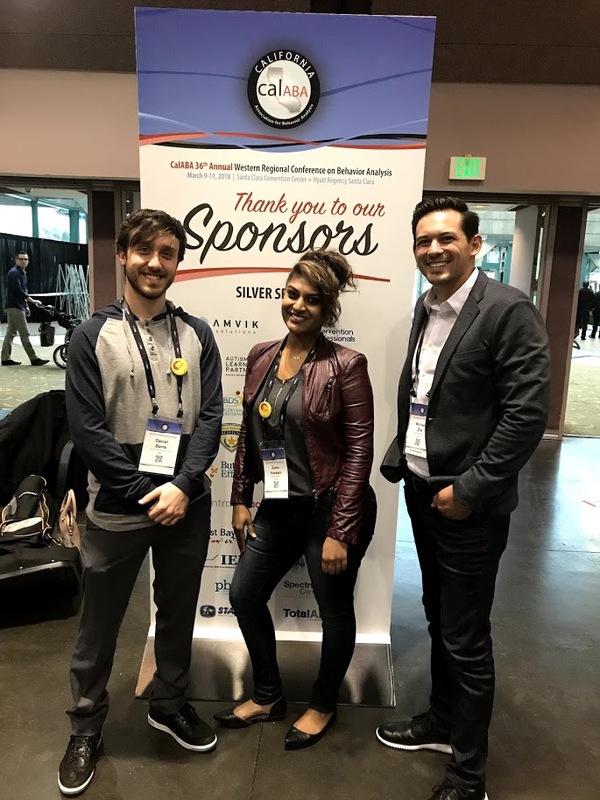 Recently, when we announced that BHW will be at CalABA, he got a bigger picture as to why he is in this field and decided that attending CalABA would be the best way to take the next step. He networked with fellow ABA professionals, exchanged ideas with others BCBA’s, got to know and meet our very BHWers, and also learned lots on what it takes to be a BCBA. His BCBA supervisor, Zairin, has been a great mentor that continues to encourage Daniel and other BT’s to pursue their goals and ambitions and helps give back so that others can move forward. And it is this teamwork and collaborative spirit that truly embraces what being a BHWer is all about.